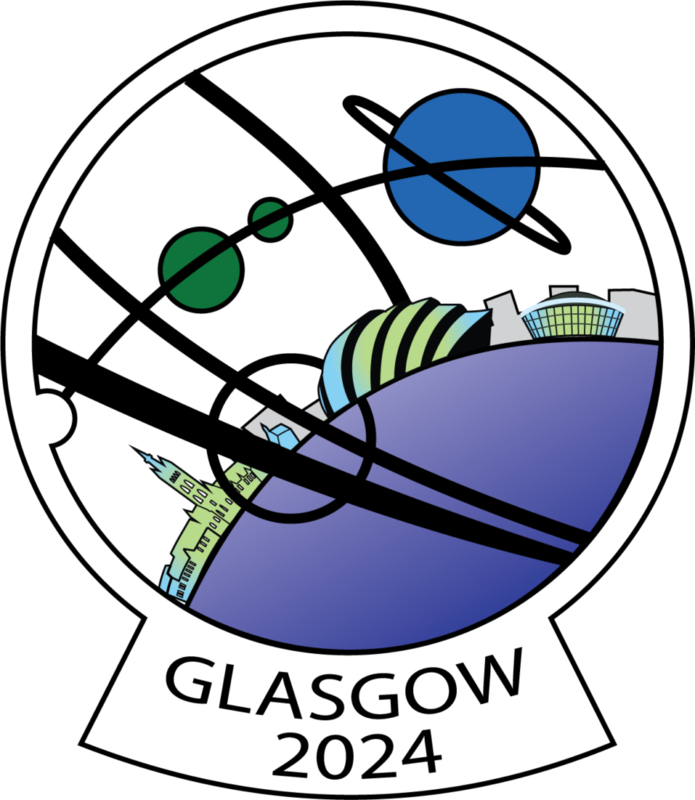 It’s now called “Glasgow 2024 – a bid for the 2024 World Science Fiction Convention.” Today the committee announced that the venue they’ve chosen for the 2024 UK Worldcon bid will be the Scottish Event Campus (SEC), Glasgow. 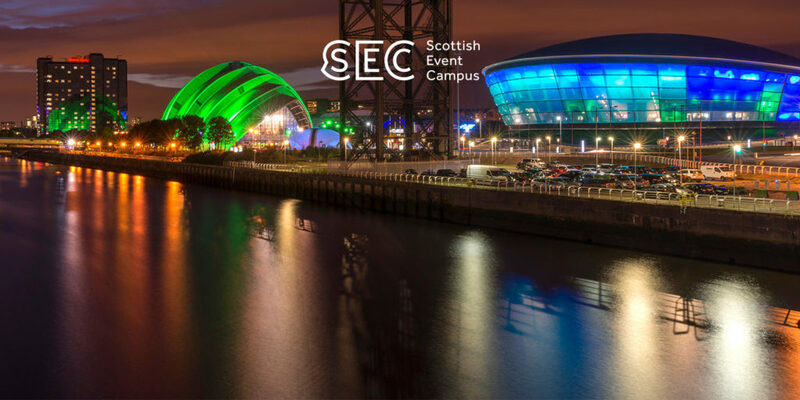 Previously known as the SECC, the Glasgow SEC has already hosted two Worldcons – Intersection in 1995, and Interaction in 2005. We are delighted that our new bid is once again based around this internationally-renowned venue, which has seen considerable growth in the last few years, including new onsite hotels and reworking and expansion of the spaces inside the convention centre. The SEC has recently announced a further £200 million development plan to support the growth of conventions around the campus. Our bid team is a dedicated band of fans both international and local, experienced and new. Our working party and support team already contain previous Worldcon Chairs and Bid Chairs, who volunteer alongside newcomers. We draw our experiences from the many events that take place around the UK and beyond, and celebrate the huge enthusiasm to continue hosting Worldcon after the success of Loncon 3 (2014 – the event’s most recent visit to the UK), and ongoing passion for Dublin 2019, an Irish Worldcon (2019). The bid Chair is Esther MacCallum-Stewart, who invites everyone attending Ytterbium, the British Eastercon, to join them on Sunday evening, April 21, at 7 p.m. to celebrate this announcement and meet the team. They will start taking pre-supports when the bid launches officially at Dublin 2019 in August. The bid art is by Sara Felix. For more information or to get involved in bidding for a UK Worldcon in 2024, contact them at info@ukin2024.org or watch for updates on their new website at www.glasgow2024.org. Few people have had the chance to see Arwen Curry’s documentary Worlds of Ursula K. Le Guin, which began making the rounds of film festivals in June 2018 but won’t be available to a mass audience until it airs on PBS in late 2019. It isn’t a finalist for this year’s Hugo Awards, and some who feel that might be the result of underexposure have announced plans to ask the Dublin 2019 business meeting to extend the film’s eligibility. 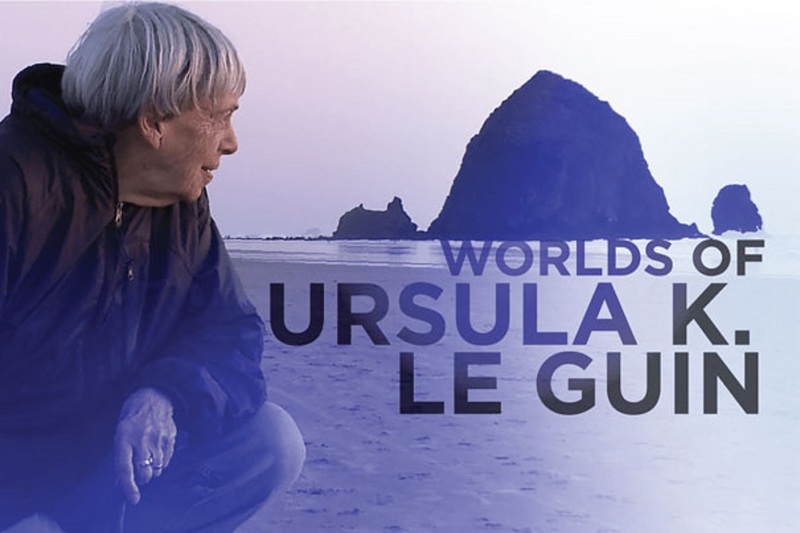 Moved, to extend for one year the Hugo Award eligibility of the film documentary Worlds of Ursula K. Le Guin, based on limited availability, as authorized by Section 3.4.3 of the WSFS Constitution. This motion extends eligibility for the Hugo Awards under Section 3.4.3; therefore, it requires a two-thirds vote of approval. Commentary: Worlds of Ursula K. Le Guin is a documentary film by Arwen Curry exploring the life and legacy of the late feminist author Ursula K. Le Guin. Work on the documentary began as early as 2009, and the filmmaker was able to complete the many hours of filming prior to the author’s death in January 2018. The film premiered at the Sheffield International Documentary Festival on June 10, 2018. Since then there have been a number of screenings at film festivals in various locations around the world; however, the film has not yet been made available for viewing by the general public. Arrangements are in progress for the film to be shown at Worldcon in Dublin in August, and the film will be broadcast in the U.S. on PBS American Masters in October 2019. Due to its limited release in 2018, very few members of Dublin 2019 had the opportunity to view the film before the deadline for nominating for the 2019 Hugo Awards. Passage of this proposal would make the documentary eligible for nomination in the Best Related Work category for the 2020 Hugo Awards next year. In the event that a potential Hugo Award nominee receives extremely limited distribution in the year of its first publication or presentation, its eligibility may be extended for an additional year by a two-thirds (2/3) vote of the intervening Business Meeting of WSFS. This provision of the WSFS Constitution was used in 2015 to extend eligibility for the film Predestination and for the short film I Remember the Future, and to extend the eligibility of the anime Summer Wars in 2011. The finalists for the 2019 Hugo Awards, John W. Campbell Award for Best New Writer, the World Science Fiction Society (WSFS) Award for Best Young Adult Book, and the 1944 Retrospective Hugo Awards were announced April 2 in a live webcast. There were 1800 valid nominating ballots (1797 electronic and 3 paper) received and counted from the members of the 2018 and 2019 World Science Fiction Conventions for the 2019 Hugo Awards. For the 1944 Retro Hugo Awards, 217 valid nominating ballots (214 electronic and 3 paper) were received. The webcast announcing the finalists is available for viewing on the Dublin 2019 YouTube channel. Dublin 2019 – An Irish Worldcon will take place in and around the Convention Centre Dublin from August 15 to 19. More than 5,600 people have already signed up as members, including more than 4,580 attending members. Voting on the final ballot will open later this month. Only Dublin 2019 members will be able to vote on the final ballot and choose the winners. The Hugo Awards are the premier award in the science fiction genre, honoring science fiction literature and media as well as the genre’s fans. 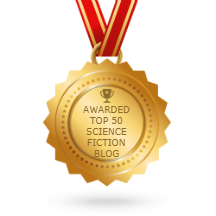 The Awards were first presented at the 1953 World Science Fiction Convention in Philadelphia (Philcon II), and they have continued to honor science fiction and fantasy notables for more than 60 years. 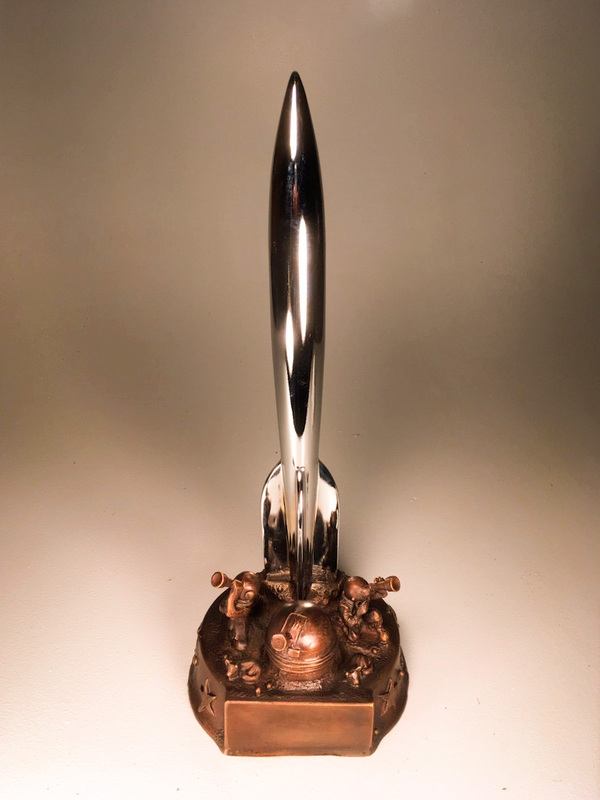 The 1944 Retro Hugo Awards will be presented on Thursday, August 15, the opening night of Dublin 2019. The 2019 Hugo Awards, and the Lodestar and Campbell Awards, will be presented on Sunday, August 18 as part of the main Hugo Awards ceremony. The 2019 Hugo base will be designed by Dublin artist Jim Fitzpatrick. The 1944 Retro Hugo base will be designed by Eleanor Wheeler, a ceramicist in County Down. The 2019 Lodestar Award will be designed by Sara Felix, the Austin, Texas-based president of the Association of Science Fiction and Fantasy Artists. More information about the Hugo Awards, including details about how to submit a nominating ballot: https://dublin2019.com/hugo-awards-wsfs/the-hugo-awards/. Any questions about the Hugo Awards process should be directed to hugohelp@dublin2019.com. More information and membership registration for Dublin 2019 are available at https://dublin2019.com. Follow the convention on Twitter at @dublin2019. “World Science Fiction Society,” “WSFS,” “World Science Fiction Convention,” “Worldcon,” “NASFiC,” “Hugo Award,” the Hugo Award Logo, and the distinctive design of the Hugo Award Trophy Rocket are service marks of the World Science Fiction Society, an unincorporated literary society. Dublin 2019 will announce the 2019 Hugo and 1944 Retro Hugo nominees at 1400 Irish Time on April 2 (6 a.m. Pacific) over their YouTube channel. By James Bacon: Mike, Filers and Fans — the Dublin 2019 Access team are sending out an important message to anyone with access needs, specifically those requiring mobility scooter hire. We identified a suitable mobie hire company, who were happy to work with us, and we had sufficient mobies for Dublin 2019. Unfortunately, that provider has had a fire and lost the majority of their stock. This means there are fewer mobies available in Ireland now than we anticipated. Many hours and days have been spent investigating this and we have had support from the Irish Wheelchair Association. Yet there are still fewer mobies available than we would like. As we continue to seek creative solutions to this problem, we are asking that anyone interested in hiring a mobie for Dublin 2019 please fill out our online form (https://dublin2019.com/forms/mobility-scooter-rentals/). That will help us know how many additional mobies we need to source. My very best as ever. Hugo award-winning comic book artist Sana Takeda and Irish playwright Rosaleen McDonagh will be featured at Dublin 2019 – An Irish Worldcon. Joining Dublin 2019 as a featured artist, Tokyo-based Sana Takeda is best known for drawing the prizewinning Monstress series, written by Marjorie Liu and published by Image. The heroine of Monstress, Maika Halfwolf, survives bereavement, slavery, and disabling injury to take control of her psychic powers and change her people’s history. Since it premiered in 2015, Monstress has won three Hugos, five Eisners, three British Fantasy Awards and a Harvey Award. 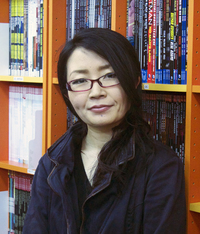 Takeda´s artistic reference points range from Japanese woodblock prints to Marvel Comics, where she has drawn for franchises including X-Men and Ms. Marvel. She joins Afua Richardson, Maeve Clancy, and Jim Fitzpatrick on the featured artist roster. 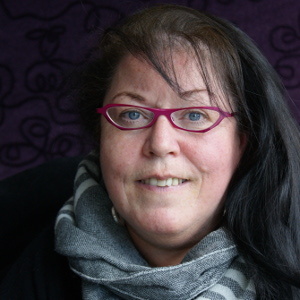 Equally excitingly, Rosaleen McDonagh, playwright and activist for the Irish Traveller community, will be discussing Irish Traveller culture at Dublin 2019. Her plays including Mainstream, Stuck, She’s Not Mine, and Rings explore aspects of feminism, ethnicity and disability. She has been chosen by Colum McCann to adapt for the stage his novel Zoli, the story of a Polish Roma poet and writer. McDonagh worked for ten years managing the Violence against Women Programme at the Pavee Point Traveller & Romany Centre. She writes for the Irish Times and is completing a PhD that will be her fourth degree from Trinity College Dublin. She was the first Traveller invited to join the Irish artists’ academy Aosdána in 2017, and the first Traveller to stand for election to the Seanad, the Irish legislature’s upper house, in 2002 and 2007. What Did You Nominate For The 2019 Hugo Awards? Fans are welcome to share their Hugo and Retro Hugo nominating ballots in the comments. Voting to select the site of the 2020 North American Science Fiction Convention (NASFiC) has started. The Columbus for 2020 NASFiC bid is the only one on the ballot. They propose to hold the con August 20-23, 2020 at the Hyatt Regency Hotel and Convention Center, in Columbus, Ohio. Lisa Garrison is the bid chair, and the committee includes Dale Mazzola and Kim Williams. Members of SpikeCon, the 2019 NASFiC in Layton, Utah, are eligible to vote on the site of the 2020 NASFiC upon payment of a $35 Advance Supporting Membership (“Voting”) Fee. Voting in advance closes June 29, 2019. SpikeCon/NASFiC 2019 must receive your ballot by that date. (Postmark date does not count.) Voting at the convention opens on the afternoon of Thursday, July 4, 2019 and closes on the evening of Friday, July 5, 2019. For full information see Kevin Standlee’s post on the NASFiC website. 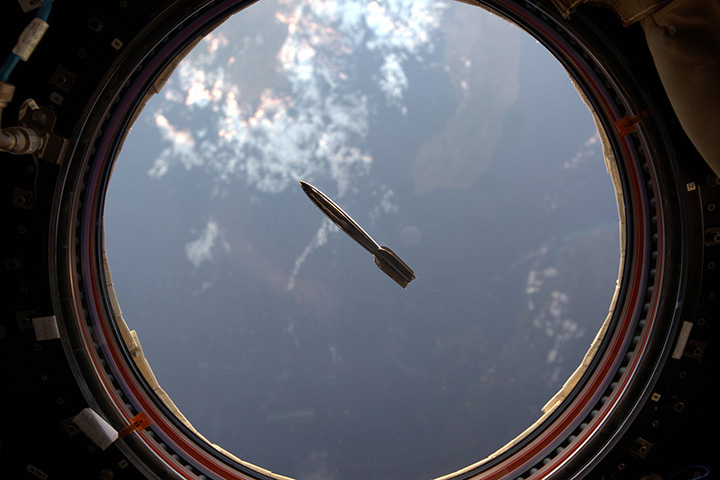 Mini Hugo rocket carried into space and photgraphed by astronaut Kjell Lindgren in 2015. The deadline to make nominations for the 2019 Hugo Awards and the 1944 Retro Hugos (honoring the achievements of 1943) is now only a week away – Friday, March 15, 2019, 11:59 PDT. Members of the Dublin 2019 Worldcon are eligible to vote and have already been sent individual links to access the online form. A paper ballot is is available and can also be downloaded here — the mailed paper ballot must be received by March 15. Remember that Dublin 2019 is taking nominations in a special Hugo category this year: Best Art Book. Likewise, voters will be recommending the finalists for the Lodestar Award for Best Young Adult Book, and the John W. Campbell Award for Best New Writer.